Many initial claim settlement payments issued by carriers have been based upon the appraised value of your property. The market value (appraisal) of the original house has nothing to do with the rebuilding cost whatsoever. Some insurance companies have elected to use the market value of the property to establish the “actual cash value” (ACV) payment, but this is only an INITIAL payment, and NOT the final settlement number by any means. This is not the insurance company’s attempt to “low ball” your settlement. It is just a way for them to be compliant with the Department of Insurance regulations to get an “undisputed damage” payment issued so that the homeowners have funds to begin the repairs process. This payment does not represent a final settlement, so don’t be discouraged or frustrated to the point of abandoning the reconstruction of your home, even if your coverage limits appear to be insufficient to replace your home. Accepting that initial pay-out does not mean that you are not entitled to other payments or that your claim ends with this payment. Accept the payment, learn the insurance settlement process, and know your options, as things are not as bleak as they may appear sometimes. Knowledge is power, and we hope the following information will empower you by giving you a clear understanding of the insurance settlement and the rebuilding process. Under normal circumstances, an Adjuster or your Contractor creates a repair estimate containing an itemized, detailed scope of work that describes the repairs to your home in significant detail. This scope includes everything from repairs to the foundation, framing, electrical, plumbing, insulation, drywall, cabinets, countertops, and paint. Even minute details like window coverings, doorknobs, bathroom hardware, door stops, cabinet knobs & drawer pulls, and window coverings are included. It is important that the scope of repairs includes everything that has been done to the home in terms of updating and remodeling (including structural additions) and landscaping details, as it is the responsibility of the insurance company to repair/replace your home to “pre-loss condition”. (Of course, the scope of repairs does NOT include any personal property or content items such as refrigerators, washer/dryers, or furnishings). The scope of repairs is MUCH more detailed than an appraisal. It is an itemized repair estimate that the insurance company needs to prepare themselves, or to review an estimate that the Homeowner/Contractors submits in order to issue a more accurate ACV payment. For those of you who have been issued an initial ACV payment based upon a property appraisal, this is one an example of how the normal claims process has deviated due to this unprecedented and extraordinary event. 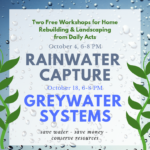 Now, it is up to Homeowners/Contractors to provide realistic restoration estimates in order to secure additional funding for your construction. Ideally, you would have hired a Contractor/Builder and had them prepare the repair scope/estimate for submission to the insurance company. This is assuming that the contractor is capable of creating a detailed, itemized estimate to restore your home to “pre-loss condition”. This estimate should include site preparation, soils testing costs, surveying, engineering, architectural, permit costs, required building code upgrades, underground utilities connection, fencing/landscaping, and , of course, the dwelling repairs, including all soft costs. In the insurance restoration industry, an estimatics program called Xactimate is the standard software that is utilized. The pricing contained within Xactimate is updated on a monthly basis, so the insurance carriers will not challenge the pricing contained within the software, but they will review the scope of the repairs outlined in the estimate provided by your Contractor in order to reach an agreed scope and cost of repairs with your contractor. Again, this is what usually happens under normal circumstances. Nothing about this fire storm is normal as all of the resources that are normally available are over-extended. The number of restoration contractors in the local area cannot handle the volume of work, so finding a contractor that can provide an Xactimate estimate can be challenging to say the least. If you cannot find a contractor that can provide Xactimate estimates, you can retain the services of a Public Adjuster, an Attorney (who has access to such resources), or an insurance restoration consultant like Scope Writing Services. The itemized repair estimate that is submitted to your insurance company will be higher than the appraised value of your ACV settlement because it is an actual bid/cost estimate for the restoration of your home. The insurance company will need time to review and process this new information. Insurance companies are not required to accept the repair estimate in its entirety; they are just required to give it consideration and compare it to their estimated cost of repairs (in the event that they have developed their own separate scope/estimate of repairs). If they do not have an estimate prepared, they may consult with another restoration contractor/builder for a competitive bid, or have an estimate prepared for them by one of their Adjusters or construction consultants for comparison purposes. Typically, the estimate that they obtain will be written on Xactimate software so that they have a detailed, itemized scope to compare to. If their Adjuster/Contractor/ Consultant comes back with a different scope or a lower cost for the same scope, it’s time for negotiation. It is the insurance company’s job is to investigate the bid/estimate in a good-faith effort to move forward with the damage evaluation process as the goal is to reach an agreed cost of repairs on which the claim settlement can be based. Once a scope and cost of repairs has been agreed to with your carrier, this will set your initial construction budget and this will enable you to make some decisions about rebuilding your home. Without an agreed cost settlement from your insurance company, how can you even begin to know what your construction budget is? 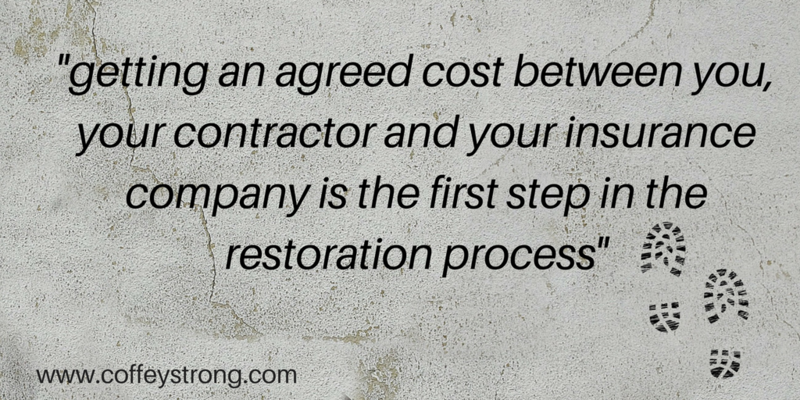 That is why getting an agreed cost between you/ your Contractor and your insurance company is the first step in the restoration process. After an agreed cost is reached, the insurance company will apply a percentage depreciation to the replacement cost estimate based upon the age and condition of your home. The depreciation amount is subtracted from the replacement estimate total, which results in an Actual Cash Value settlement. Depreciation is paid out at the completion of the repairs/restoration work, and upon your carrier’s receipt of the Contractor’s final invoice documenting the incurred repair costs. Once an agreed scope and cost of repairs is achieved with the insurance company, they will review your coverage limits and the settlement payout will be subject to those limits. Just because you have an initial agreed upon scope and cost of repairs does not mean that you will have enough funds to repair/rebuild your home to pre-loss condition. In the event that your policy limits are below your estimated restoration cost, getting a firm settlement number from your carrier will allow you to make the tough decisions that are needed to proceed with the rebuilding. This is where your Contractor/Builder plays an integral role: he must be able to tell you if the insurance proceeds are sufficient to rebuild the home to pre-loss condition, and if not, how much more costs above the available insurance proceeds are needed for the rebuild. Once you know what your carrier will pay on your claim, you will be able to budget for the repairs and decide whether or not to pursue a loan to bridge the gap between the insurance settlement and the actual cost of the rebuild. As the carrier is reviewing the cost estimate for the “pre-loss” or original construction, the homeowner needs to communicate to the Contractor what kind of home and interior finishes they want to re-build and ask the Contractor/Builder to provide them with a detailed estimate or bid for that build-back. If there is a cost increase for upgrading the size of the home or the interior finishes and amenities, have the Contractor/Builder price out the upgrades so that you will be clear on the increased cost of your customized re-build. In other words, if you want a better, upgraded home, you need to let the Contractor know what it is that you want him to build, and then he can price-out the cost above what the original or “pre-loss” construction will be. If the contractor wants to charge you for creating this bid, he’s the wrong contractor. This is a normal “sales acquisition cost” or a cost of sale for the contractor to present you with build-back options. However, respect your Contractor’s time and be thorough in providing him with as much detail on your materials selections or structure changes as you can so he can give you an accurate bid the first time. Know that if you are making structural changes, that will have to start at the architectural/ engineering level, and the Contractor will not be able to give you a price until he can review the completed engineered plans that depict the desired changes. The more you change your mind and add to your “wish list”, the longer it will take for the contractor to provide you with a firm cost. The Owners should also not allow any construction work to begin before signing a Contract containing a set price with the Contractor. But what if the initial settlement does not cover additional construction costs discovered after the initial agreed scope and cost of repairs such as Building Code upgrades that are required by the local or state municipalities? Code upgrades may include fire sprinkler systems, fire resistant materials such as tile or composition shingle roofing, and fire and safety requirements such as tamper resistant plugs/outlets, inter-connected smoke detectors and carbon monoxide detectors on every level of the home. The contractor must be able to document and explain Code upgrades to the insurance company, and make sure that he has the insurance company’s approval before beginning the reconstruction. The Contractor must also demonstrate knowledge of insurance coverage limits in order to anticipate the amount of resources available from the insurance settlement, and advise the Homeowners accordingly when the insurance coverage is short of the costs needed to repair the home to pre-loss condition. The Contractor should also be able to address increase cost of construction as well as unexpected costs that inevitably arise on a substantial construction project. This requires the Contractor to be pro-active in communicating with the Owner and the insurance carrier any increase in cost or scope of work as soon as they are identified. If the additional cost is warranted and the insurance carrier accepts the increased costs (barring any coverage limits issues), the carrier will issue additional payments. This additional damage claim is commonly referred to as “supplement”, and “supplements” are a normal and expected part of the insurance claim process. The key fact is that these additional costs should be presented to the insurance company for review and approval prior to performance of the work. The contractor should NOT initiate the restoration/replacement of your home until he received the initial agreed scope and cost of repairs with the insurance company, and has approval of supplemental costs that are discovered. When the initial draw has been received by your Contractor and construction activity begins, the restoration will typically take at least 6-12 months to complete. During that time, labor rates and material costs are definitely going to increase due to the unusually high demand caused by the need to rebuild 5,130 houses in Sonoma County. Knowledgeable people estimate that these increases could be in the range of 10-30%. As stated above, the contractor must inform the insurance company of these increases as they happen, and the insurance company will need to consider additional pay-outs warranted by the pricing increases. If these costs can be documented in a manner that they are accepted by the insurance companies, they will issue additional payments. It may be difficult for many people to accept, but an insurance claim is often open-ended, as payments are not final until construction is completed and the Contractor submits his final invoice to the insurance company requesting the final pay-out. The bulk of the funds for the final pay-out is for the depreciation that was withheld or deducted from the initial settlement (as described above). Of course, this is assuming that coverage limits are not an issue and that your policy has enough coverage to pay for the restoration. The insurance company owes to repair/rebuild your home to “pre-loss condition”. You are in control of your claim and the insurance company cannot pressure you into starting the repairs to your home in order to save themselves on the cost of your temporary living arrangements or Additional Living Expense (ALE). Refuse to break ground on the construction of your home until you have an agreed cost of repairs, including Building Code required upgrades, site preparation, landscaping or other structures repairs, etc. Once you have an agreed scope and cost of repairs, ask the carrier to pay the Extended Replacement Cost and the Code upgrades up front (if you have this coverage on your policy). Do not let the insurance company pressure you into accepting a “policy limits” settlement unless you thoroughly understand your coverages and policy limits. Do not let a Contractor pressure you into signing a Contract unless you know what your cost will be for the re-build, including the cost of your desired upgrades with those costs outlined on written bid or estimate. Do everything in writing with the Contractor and the insurance company and avoid leaving and costs “Pending” or allow those details to be “worked out” at a later time. If the insurance carrier is delaying your settlement or is unresponsive to your attempts to contact them, threaten to file a complaint with the Insurance Commissioner’s Office, and whenever possible, do it in writing or by e-mail. As the rebuild efforts begin to take shape, many people have asked about how Pacific Gas and Electric is planning to address many issues impacting the rebuild efforts in Coffey Park. The following information was provided by their community involvement team in a presentation recently to Coffey Strong block captains. Have you not received a bill yet? Currently PG&E is holding back bills while their accounting department continues to review accounts. This process takes time as it includes validation of lost homes and third party billing partners, such as Sonoma Clean Power. This includes your Coffey Park final billing and where you now reside. As soon as this review is complete, PG&E will be issuing bills. Please review your bill when you finally receive one. If your bill has a balance exceeding $500.00, you will receive a proactive call from PG&E to discuss your bill in its whole. You may also contact them to arrange for a payment schedule that works for you. 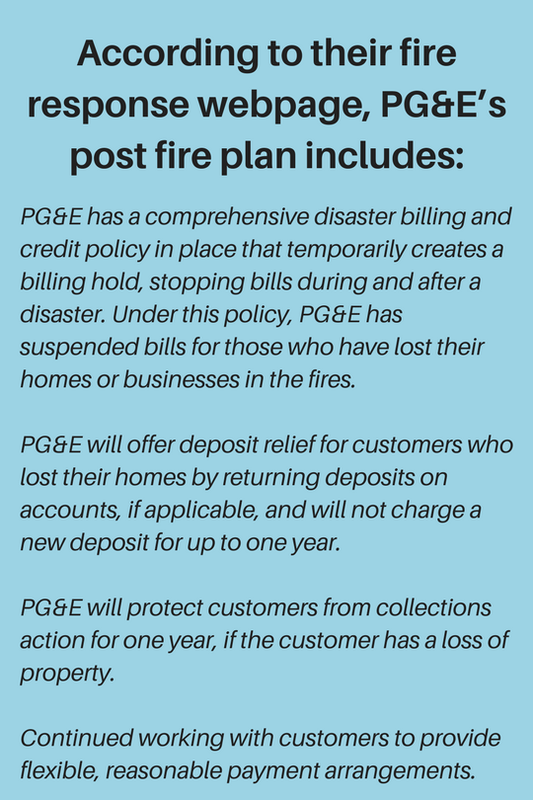 Regardless of the size of your bill you receive, PG&E will not take any credit action against fire victims, and will work with any customer on a payment plan. Currently PG&E has installed temporary power poles throughout Coffey Park. These have been strategically placed as to not impact new underground construction that will be required. 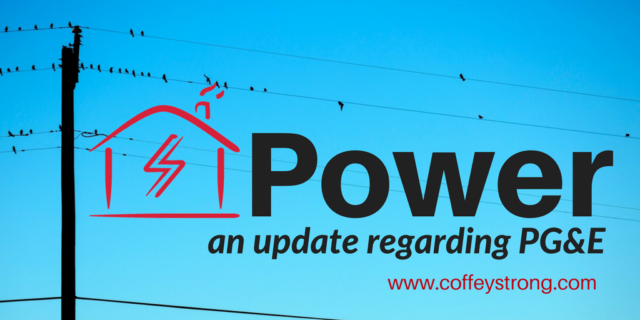 These poles will also serve to provide temporary power for your contractor, support temporary street lighting and if you are fortunate to have your home rebuilt prior to permanent power, they will allow temporary connection to your home. They can also serve as a way to provide temporary phone and television service as well. When a contractor needs temporary power to the site, they need to fill out an application, applying as a ‘new business for temporary power’ at https://www.pge.com/cco/. Since temporary power activation may take up to one month, apply for this service as soon as possible (if you check the box to note that it is fire related, they will expedite the service.) This applies to people who are interested in an RV connection as well. PG&E has agreed to waive the connection fees for this, however you or your contractor will be required to pay for the power used. The contractor will be required to provide a temporary power pole built to PG&E standards. At that time PG&E will place a meter. Neighbors have requested installation of more street lights, since some streets in Coffey Park are too dark at night. This is being addressed and we report back once additional information is provided. Currently PG&E is working on the new underground utilities design. This is an extensive project that will be broken up into 5 phases. These phases 1-5 do not align with the Coffey Strong area map, but are all based on the efficient distribution of power to our neighborhood. Most utilities such as gas, electric, telephone, and cable are located under the sidewalks. This work will require sidewalks to be removed and replaced in certain areas. At this time it is unclear if the sidewalk replacement will fall on the responsibility of the City of Santa Rosa or PG&E. Once the PG&E design is complete, they send their drawings to telephone and cable designers who will then add their scope. This usually takes 45 days, however, this will be expedited. There have been talks about including Sonic to the area, a matter still under negotiations. Contractors will be responsible to provide conduits for PG&E, phone and television cables from the meter at the house to the street and sized by utility standards. These conduits are required to extend to the approximate area of where they were prior to the fire. PG&E will assist in defining this location. PG&E will extend these conduit to the service point and connect complete. There will be no cost for this. PG&E has assumed all service to be 200 amps. If your home requires an increased service size or you are requesting multi-metering for an additional meter for a granny unit, that cost and arrangement for that service will be the responsibility of the customer. Although the new PG&E standard requires all above-ground transformers, they have been provided a variance to continue to have in-ground transformers. PG&E plans to begin construction late April/early May. Duration of construction is unknown at this time but we will provide this information as it becomes available. There has recently been a lot of discussion regarding to a Post Tension, or PT slab on grade and a pier and beam foundation. I too, was looking for the best solution for my home; which is the most cost effective, and what are the pros and cons of each type. I reached out to a respected structural engineer in Sonoma County and he walked me through the options. I’m sharing what I learned from that source to add to the discussion and so you don’t need to duplicate the effort. A traditional pier and beam is the type of foundation most of Coffey Park’s homes were originally built upon; This means piers are placed deep within the soil, carrying through the clay and into bedrock or stabilized soil. Beams lay across and carry the weight of the house. The clay may raise and lower but the house remains stabilize. With this type of foundation, there is a crawl space under the house and the ground floor is a bit higher than street level. A crawl space provides access to add electrical, move plumbing, etc. One must take care to provide adequate drainage, to eliminate risk of standing water under houses. A PT slab foundation consists of a concrete slab covering the entire first floor. Within the slab are cables, stretched with tension. Once concrete is placed, it provides a very strong foundation. There are several advantages with a PT slab. If your house sat high on the property and you had a steep driveway, this option might lower the house closer to street level, reducing the incline of the driveway. There might be less of a need to bring in soil. Quicker to build, a PT slab foundation can save on construction time and is usually less expensive. Lastly, without a crawl space, there would never be an issue with standing water under the house. Drawbacks of the PT slab in a rebuild start with a need for the contractor to excavate around all existing piers on the property a few feet down and remove at least a couple feet of each pier. You would never want any existing pier to ever make contact with your PT slab. After that excavation, the contractor would need to backfill with engineered rock, place a moisture barrier and install the slab. All plumbing under the slab will always remain since you would never want to jack hammer a PT slab; essentially your kitchens and bathrooms on the first floor all remain. Also, a PT slab eliminates the subfloor crawl space so you can no longer access to electrical and plumbing under the house for simple small changes. Duct work for heaters would be located in the walls up high and not in the floor. Since heat rises it does make it harder to heat a house with high ceilings. Lastly, some people say the solid concrete base can be hard on your back. 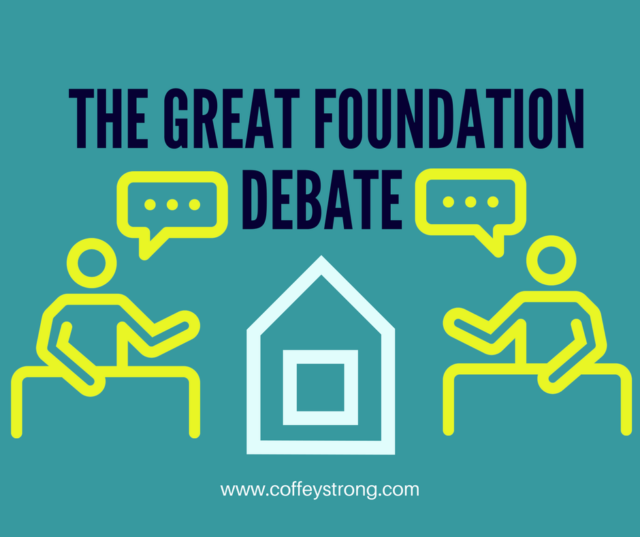 Ultimately, the foundation choice depends on your needs and a negotiation with your builder. Both the pier and beam and the PT slab have good issues and both have negative ones. But more information will hopefully help you make the right choice for your new home. While many lots are cleared, there are still many trees left standing after the debris has been hauled away. Perhaps you want those trees, or maybe you think they need to go. 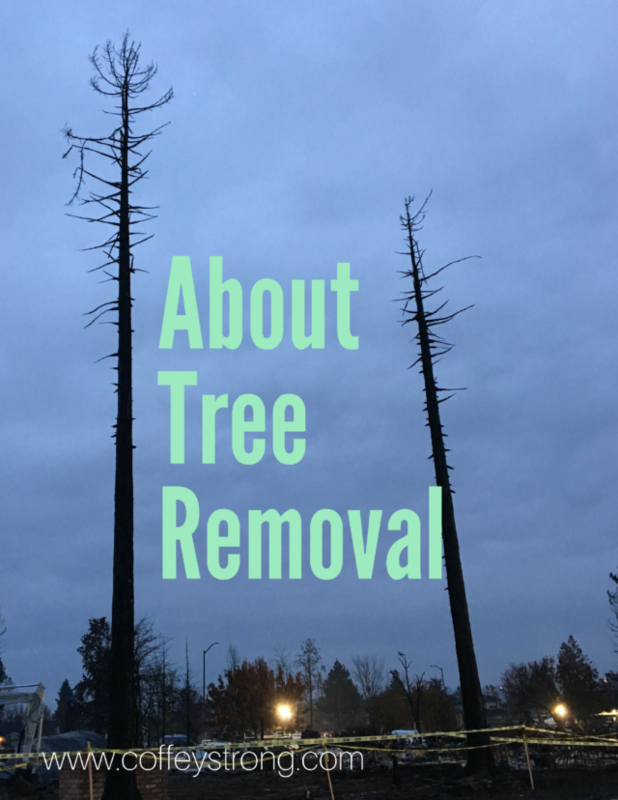 Here are some answers and next steps for getting rid of some burned out trees from your property. This information is also posted on our FAQ page. Most insurance company policies have included tree removal costs within the debris removal disbursements. Check with your insurance carrier on specific details. As per instructions from Sonoma County Recovers, see letter regarding insurance reimbursement information. Paragraph three, some residential properties may require private debris removal for burnt trees, outbuildings under 120 square foot or …. Please note that insurance claim fund specified for debris removal can be used to cover those costs. Save your receipts from any debris removal and deduct them from your insurance distribution when submitting final Debris payment to FEMA. Do I need a permit for tree removal? Santa Rosa City Tree Ordinance dated Oct. 2, 1990 requires you to have a permit when removing trees. Not sure about whether to remove a tree? A certified arborist can help you with checking on the vitality of your trees after the fire. They can arrange permits and tree removal, if needed. Source: Confirmed information with Jackie from the USACE Debris Removal Hot line: 877-875-7681 (www.sonomacountyrecovers.org). With rain in the immediate forecast, we felt it was important to put together a blog post on the impact those rains could have. The key to building a home timely is to get the foundation installed as rapidly as possible before the onset of extended rainy weather. With many lots in Coffey Park needing grading and soil compaction, there must be dry weather for a period of time to get that proper compaction and to avoid mud. The dry time will vary from lot to lot and will also depend on how saturated the ground is. 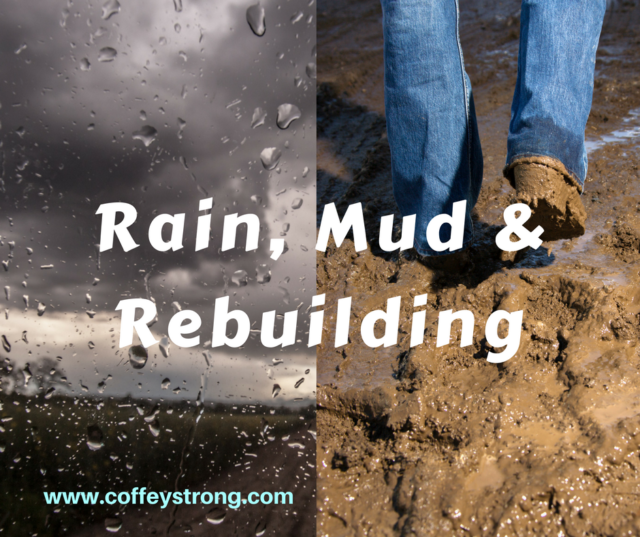 The concrete foundation and slab are more forgiving with water and can even cure when it rains. However, construction workers do not work when it is pouring rain. A light drizzle and a light amount of mud will not stop them. Heavy rain and a muddy job site will stop the project. Once the foundation and slab are cured, the project will only slow or stop for heavy rain. Even framing the house will be fine because wood can get wet, with little impact. Once the roof is on, the house is “dried in” and there will be no slow down in the schedule. by Matthew Gill, professional home builder, who lost his home several years ago to wildfire in Southern California. 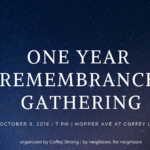 Gill is the founder of the Fire Victims Coalition a non-profit advocating on behalf of fire victims to receive full rebuilding cost from their insurance providers with no gap in coverage.